Just acquired, the library of Charles Proctor, Class of 1873! 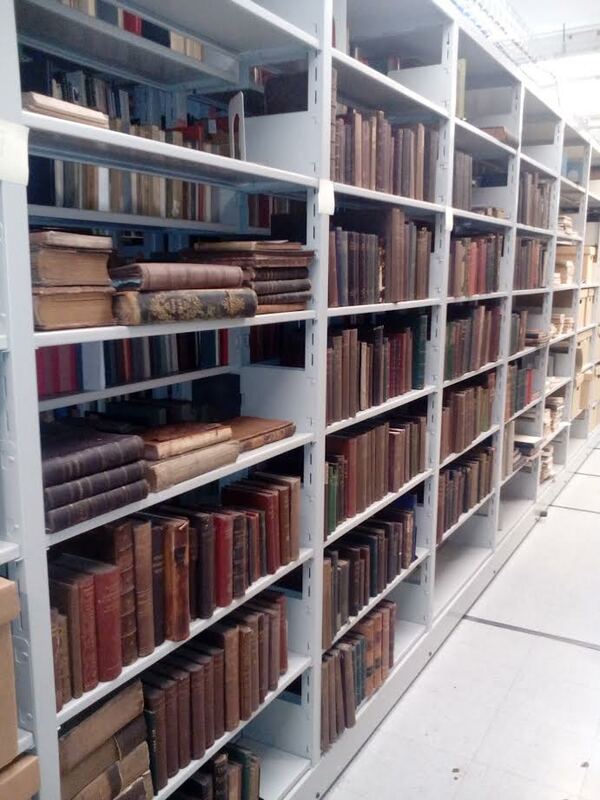 The Watkinson Library at Trinity College recently acquired the intact personal library of Charles Hayden Proctor (January 11, 1850-June 25, 1890). Proctor was a Trinity alumnus (B.A. 1873) who had been graduated from the Episcopal Academy at Cheshire in 1869. He went on to receive his M.A. at Berkeley Divinity School (then in Middletown) in 1876. He was ordained to the diaconate in the Episcopal Church in 1876 by the Bishop of Connecticut, and then to the priesthood in 1877. Proctor had a relatively brief career in the church, dying at 40 after serving in a handful of cures: as a lay missionary in the Naugatuck River Valley; as the founding rector of St. James Church, New Bedford, Massachusetts (1878-1885); at Trinity Church, Pottsville, Pennsylvania (1885-1888); and finally as the third dean of Trinity Cathedral in Little Rock, Arkansas (1888-1890). Proctor’s significance in Trinity history comes from his authorship of The Life of James Williams, Better Known as Professor Jim, for Half a Century Janitor of Trinity College (Hartford: Case, Lockwood and Brainard, 1873), a 79-page biography of the beloved “professor of dust and ashes” of the title—an African American who lived from c.1790 to 1878. Williams was born to a free American father of African ancestry and a Creole mother in New York. He served as a seaman in the War of 1812, and had arrived in Hartford by 1821 when he was working at the City Hotel. Williams’s association with Trinity began as his domestic service in the household of the college’s founding president Bishop Thomas Church Brownell (1779-1865). As Professor Jim—by then “general factotum” of the college—he made farewell remarks to each graduating class from 1830 to 1874, receiving a gift of money or a valuable object each year, and then serving glasses of punch to the class. (It is from Professor Jim’s use of a lemon squeezer in preparing the punch that the elaborate Trinity traditions about fruit presses have emerged.) Trinity students took up a collection to buy Professor Jim a turkey each year at Christmas for four decades. Proctor’s Life of James Williams was published by the foremost commercial press in Connecticut at the time, and its wide reach is attested by its presence in the private library of Mark Twain as well as a wide variety of public and academic collections still today. Proctor’s library is significant in its own right because of its former owner’s work in chronicling an important chapter in Trinity College history. It is also notable for having remained undisturbed in the Proctor family home in Derby for more than 125 years since Proctor died in 1890. The ca. 400 volumes—most with their original owner’s bookplate—provide a fascinating look at the intellectual world of a late nineteenth-century Episcopal priest. CURATOR’S NOTE: I would like to thank Dan and Denis (of John Bale Books in Waterbury, CT) for alerting me of the existence of this collection and working very hard to deliver it to Trinity College intact. Good booksellers make good libraries! Comments Off on Just acquired, the library of Charles Proctor, Class of 1873! You are currently browsing the The Bibliophile's Lair blog archives for July, 2017.